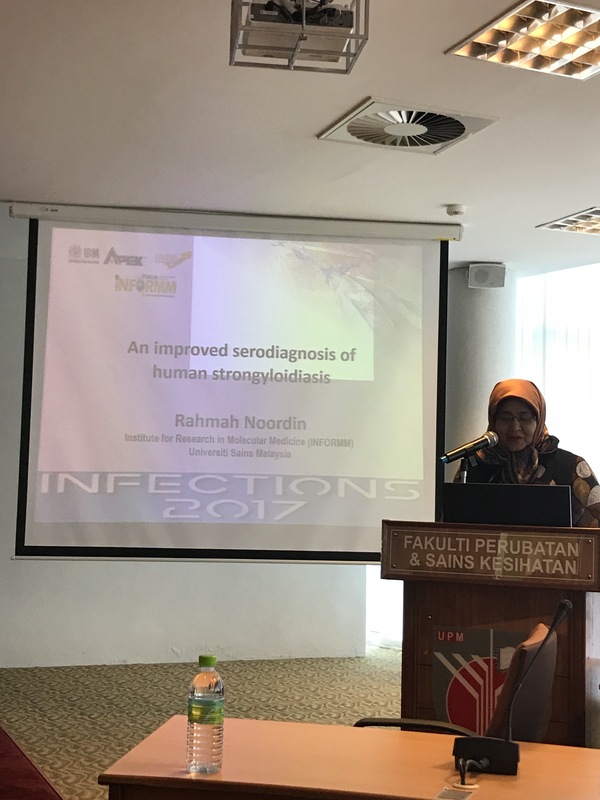 I attended the INFECTIONS 2017 conference in Putrajaya, Malaysia on 24th and 25th October. 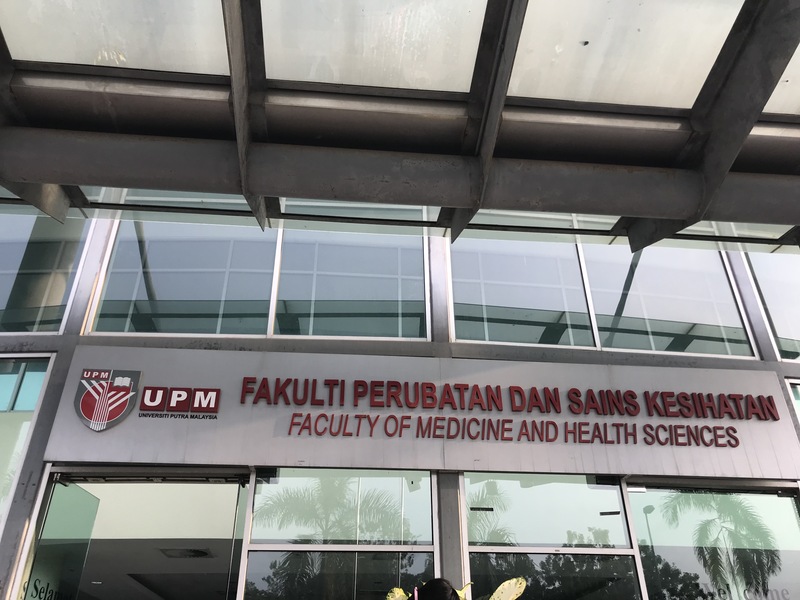 This biannual conference is organized by the Faculty of Medicine & Health Sciences of Universiti Putra Malaysia. 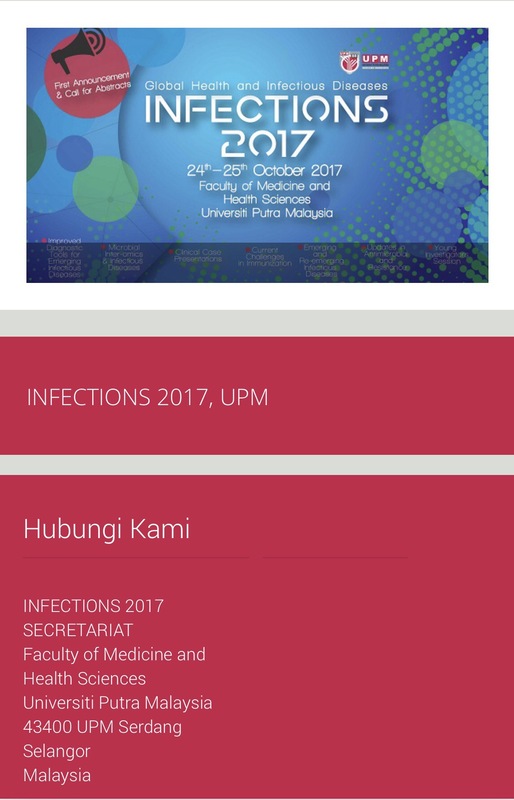 Screen capture from the Universiti Putra Malaysia website on the conference. It was a small friendly event. 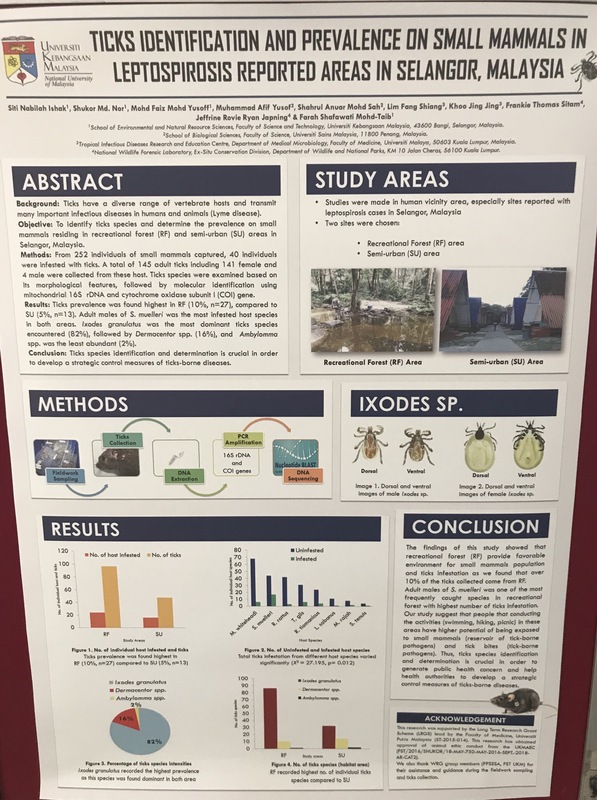 I enjoyed the great hospitality of the hosts, and learned much from the talks, as well as many of the posters. 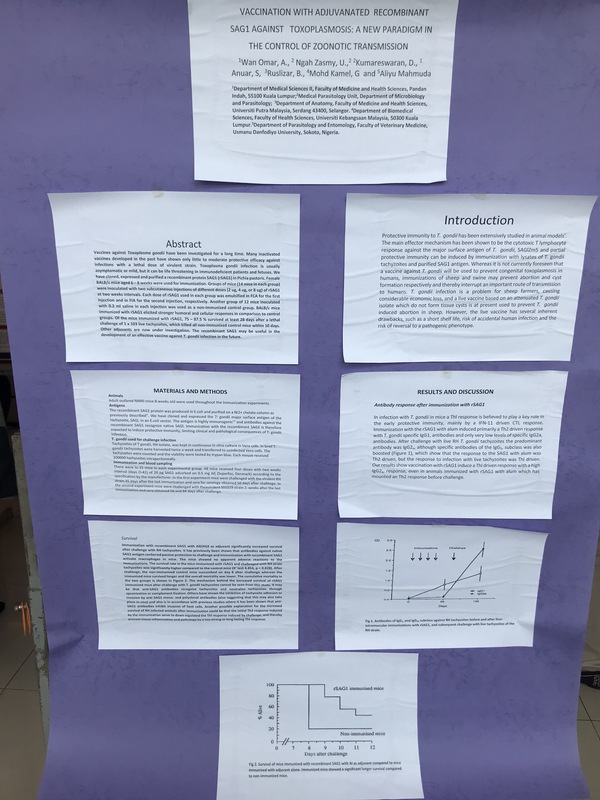 Some hastily taken photos of the event below. 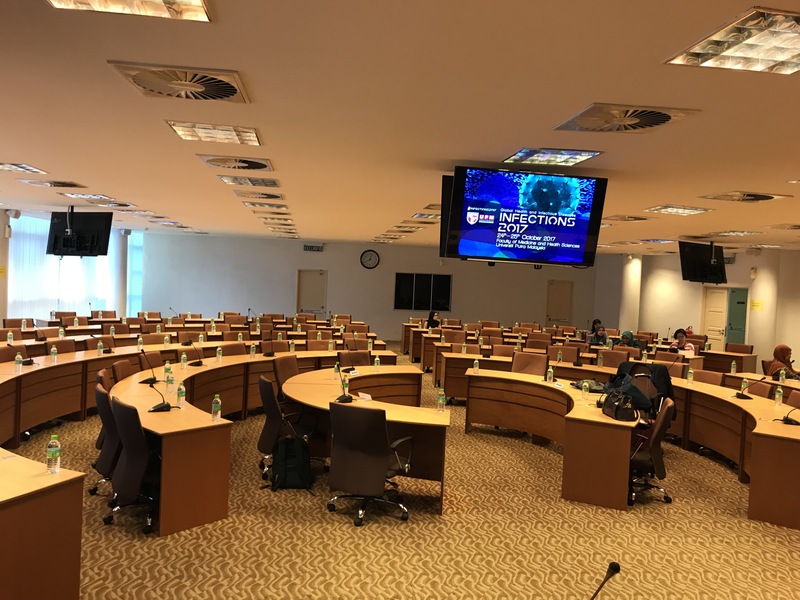 The conference was held at the university campus itself, which is situated in Putrajaya next to a government hospital. 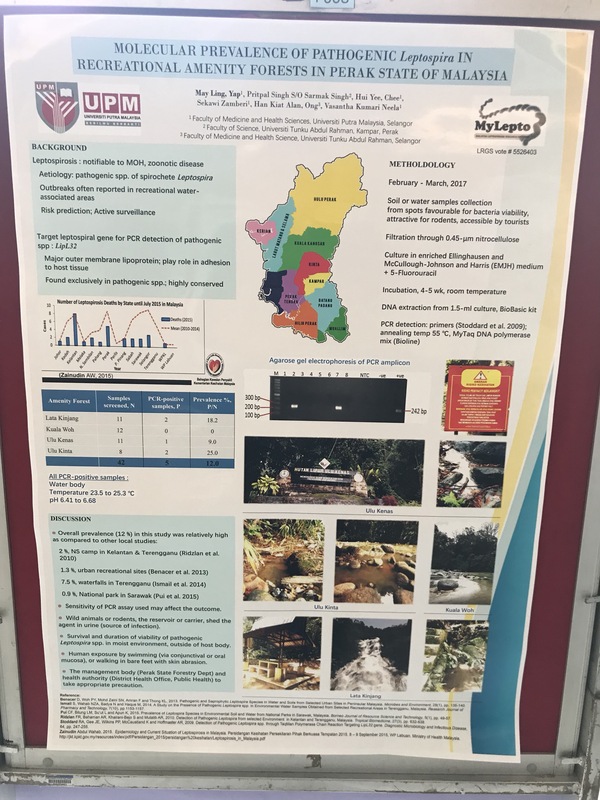 Leptospirosis remains a significant problem in many parts of Malaysia. The university won a large grant from the government to investigate this disease recently. 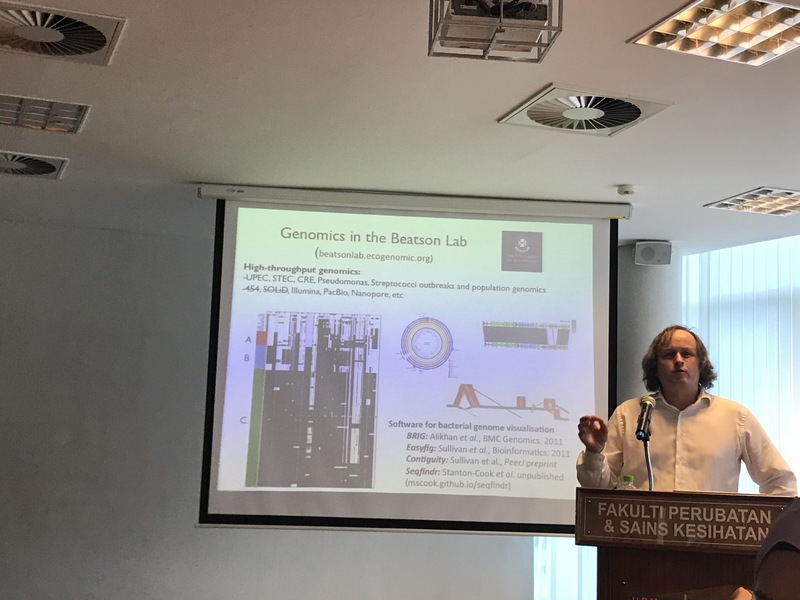 Prof Scot Beatson from Queensland, speaking on next generation sequencing in tracking hospital multidrug-resistant organisms and other outbreak pathogens. 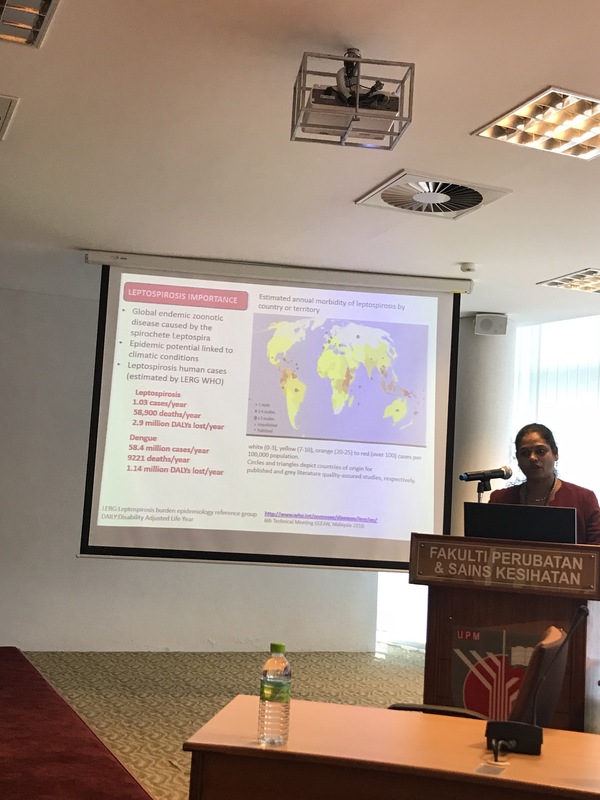 Prof Vasantha Neela speaking on leptospirosis. We had previously communicated on MRSA work a decade ago. 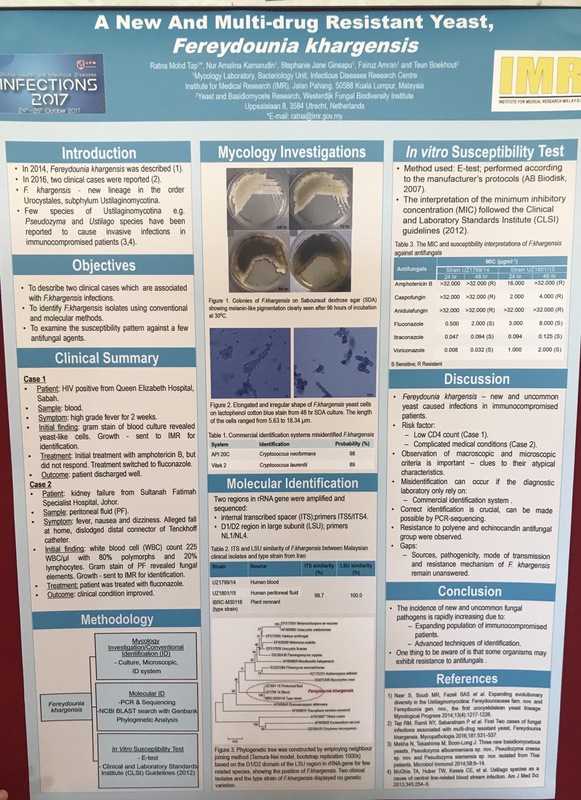 Strongyloidiasis is difficult to diagnose. 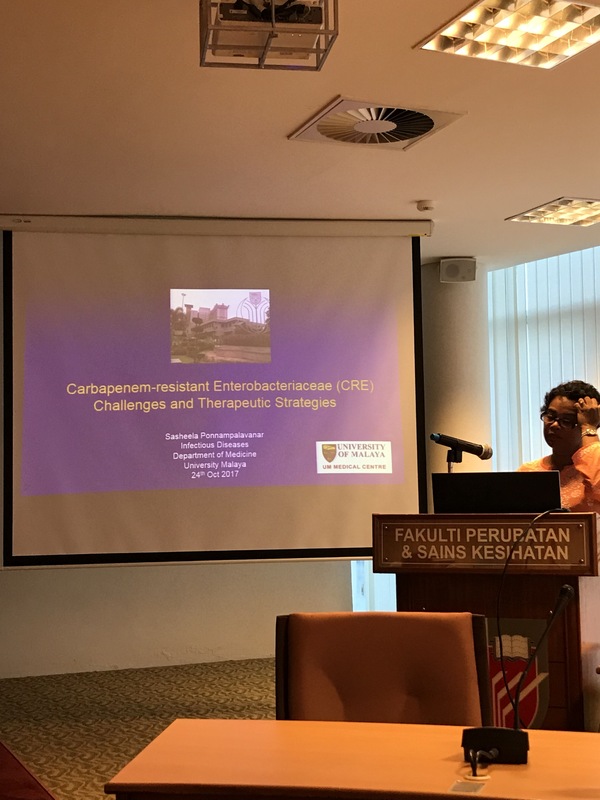 Malaysia, like us, also has a problem with carbapenem-resistant Enterobacteriaceae within its hospitals. 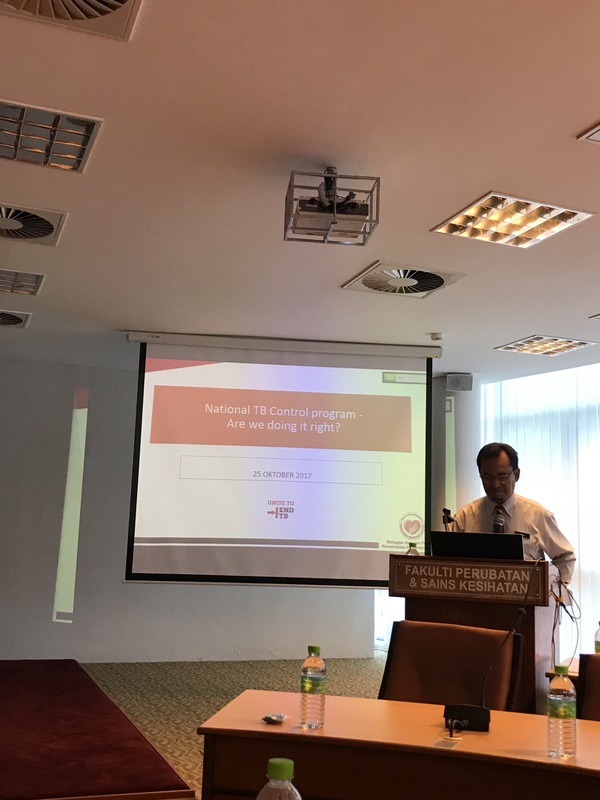 A frank account of the efforts to control tuberculosis in Malaysia. It is an intermediate TB burden country, like Singapore. A disease that is fortunately not present in Singapore. 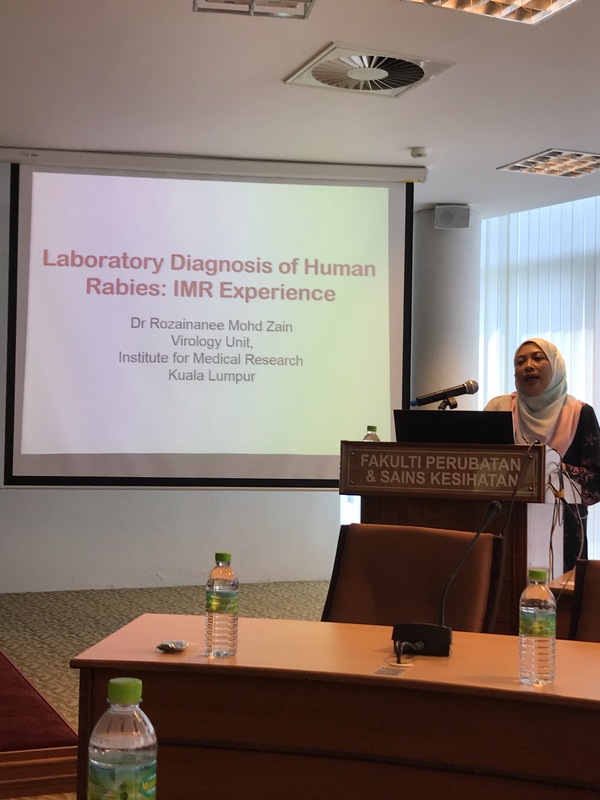 We have been declared rabies-free since 1953.